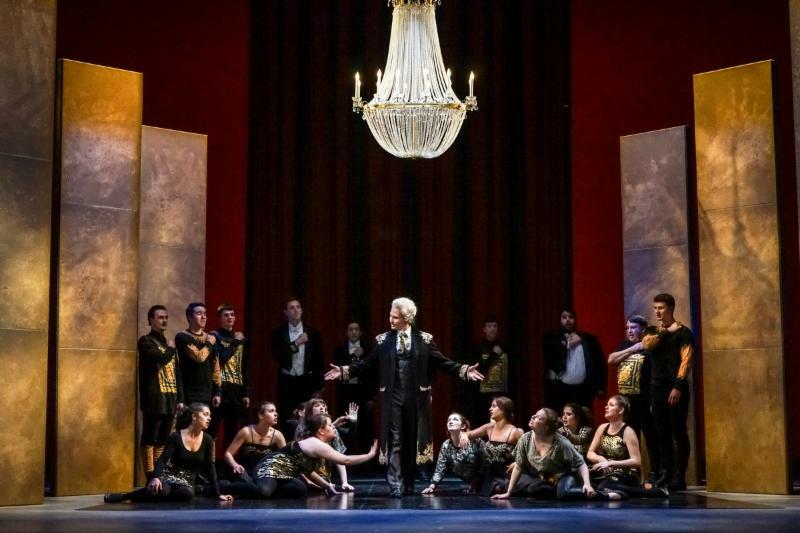 University of Washington Opera Theater Works provides performance opportunities for singers in fully staged opera productions, opera scenes, outreach projects in opera and concert performances of operas. Roles are cast based on open auditions and the goal of the program is to be as inclusive as possible, offering performance opportunities for all graduate and undergraduate voice majors. Opera Theater Works also offers opportunities for graduate students to apprentice in stage direction, conducting and theatrical lighting. In April 2019, Deanne Meek and Cyndia Sieden will produce Hydrogen Jukebox by Philip Glass, under the direction of conductor Dean Williamson. This production will be made possible by generous donations from the University of Washington Friends of Opera fund.